Yesterday was a day for spinstering in grand style, first at the Veterinary clinic to weight Miranda and purchase heart worm medication, then at the dog park where a dog named Baxter took quite a liking to Miranda. I think we're going to have to have the "no means no" talk. That works for dogs, right? 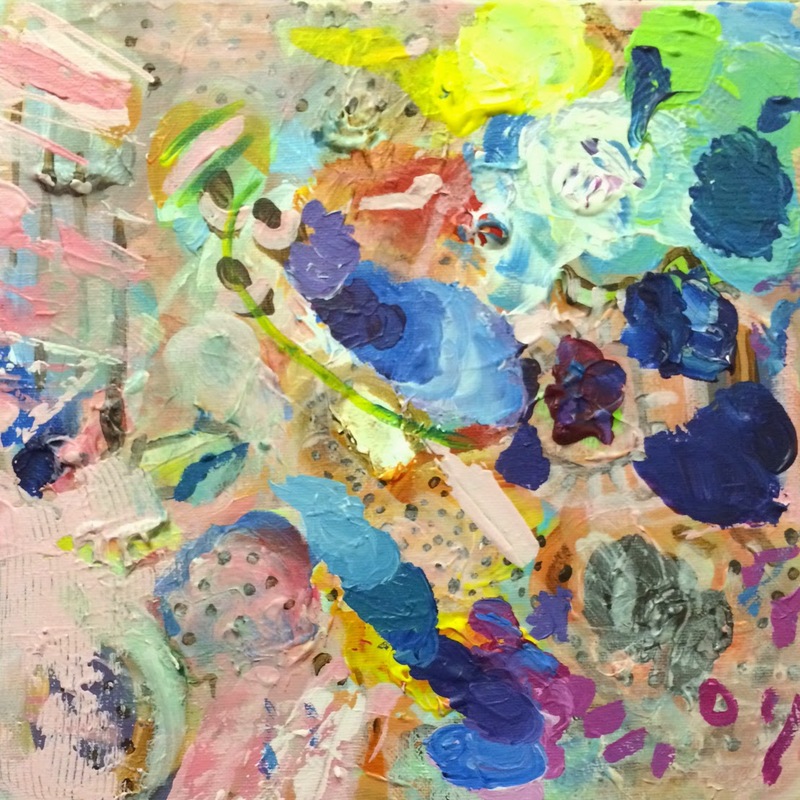 The image you see above is perhaps not surprisingly just an image of my painting palette. I didn't actually get any painting done yesterday - mostly because I was lazy and watched too much Netflix after the dog park - but since I painted Miranda's portrait, I have seen an uptick in portrait interest, which I quite like. So, if you have a hankering for a portrait, you can order one via the ol' Spinsterhood Diaries Etsy page. By 'order one,' I suppose I actually mean send me a message inquiring. Now, below is the second image from yesterday. I took it around 9pm while Miranda and I were taking our evening constitutional. 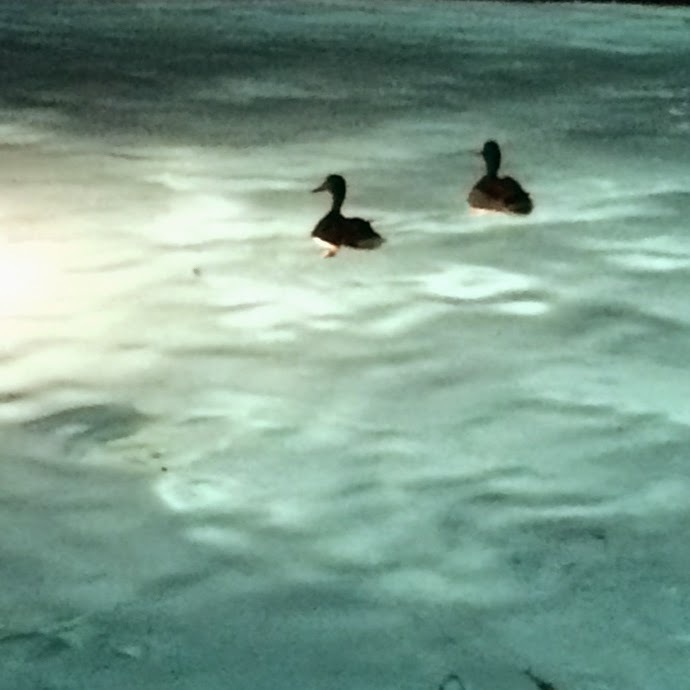 Right as we passed the pool, I saw these two little scoundrels hop in to have a little swim. Unfortunately, the pool has not yet been opened to humans for the season. It's probably just as well, though. I bet those ducks like to relieve themselves in the pool. Happy Sunday to you all! Perhaps you should find a pool of your own and shoo the ducks away so you can enjoy yourself.